PIMS Optician enables you to know what’s in stock in real time. 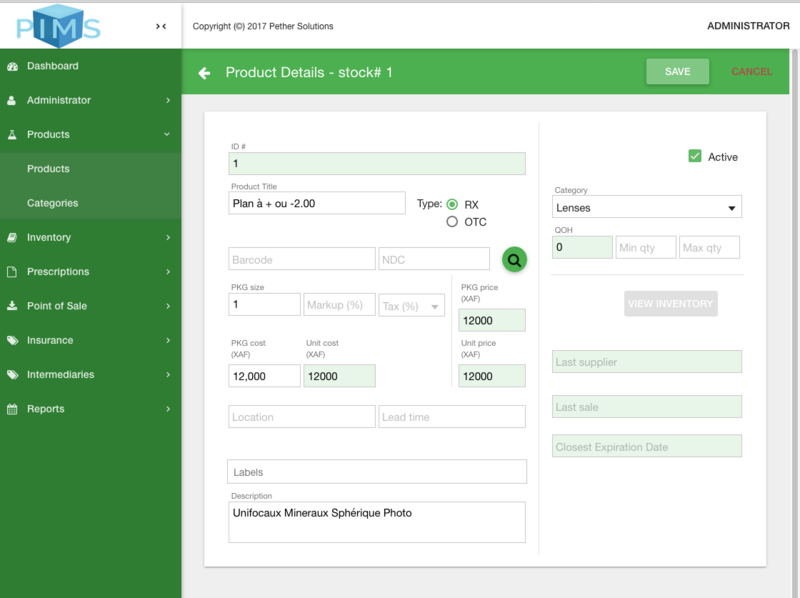 Track inventory quantities across your channels and warehouses from one location. Use views to quickly see what products are available, running low, or awaiting to be replenished. PIMS Optician application is inventory control software made easy with instantly ending inventory headaches and eliminate inventory theft and write-offs. PIMS Optician application is designed to increase profitability, provide barcode system for your inventory, conduct audits quickly, prevent you from running out of stock and eliminate inventory theft and write-offs.